Companies joining the NFC standards association include advertising agency Dentsu, handset makers HTC and ZTE, MNO payments joint venture Isis and, at board level, UK-based Barclaycard. 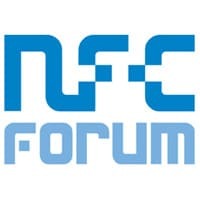 Payments: UK-based Barclaycard has joined the NFC Forum at sponsor level, the highest available, and will have a seat on the forum’s board of directors. Advertising: Dentsu, the world’s largest advertising agency, has joined as a principal member, the second-highest level of membership. Mobile network operators: US carrier joint venture Isis has joined at the implementer membership level. Device manufacturers: ZTE, HTC and Sharp have joined the association. Technology, systems and services providers: NFC payments software provider Sequent Software has joined at principal level. Other suppliers joining the association are AgreeYa Mobility, Avery Dennison RFID, Bureau Veritas ADT, C-Sam, Cubic Transportation Systems, Ixxi (part of French transport operator RATP), Korea Smart Card Co, Raisonance, Recruit Co, XAC Automation, Datang Telecom Technology, Novatec Solutions, I/O Interconnect, Obopay, Posiflex Technology, Proxama, Sunward Telecom, TCL Communication Technology Holdings, Timwe, UPM RFID and Vitec. Technology Research Center Henan Province has also joined as a non-profit member.